Saving or spending impacts on your retirement and the quality of your life when you stop working. If you change jobs, you have the choice of preserving or cashing in your retirement savings. Unfortunately, members are often unaware of the disastrous consequences of cashing in their pension savings for short-term gains such as paying off debt. Read this newsletter to learn more about your options when you retire, and why you should never cash in your retirement savings. Saving or spending impacts ON your retirement and the quality of your life when you stop working. CASH IN your retirement savings. The graph below shows the impact of cashing out your retirement savings and indicates the increased percentage of your salary you should save each time to make up for the loss of your retirement savings. Unfortunately 93% of people resigning from Woolies cash in their pension, and only a tiny percentage use this to settle their bond. The majority needs the money to get out of serious debt. July was Savings Month and this is another nudge for you to start taking control of your money so that you do not end up with a lower standard of living when you stop working and retire. If you change jobs, you have the choice of preserving or cashing in your retirement savings. Unfortunately, members are often unaware of the disastrous consequences of cashing in their pension savings for short-term gains such as paying off debt. 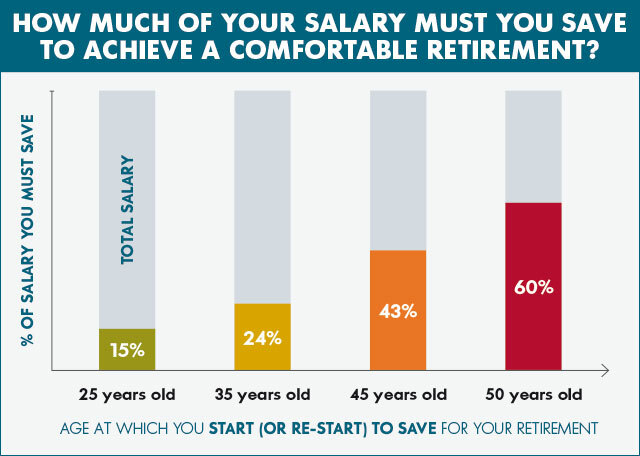 You currently contribute 7.5% of your monthly salary towards your retirement savings. This money is invested for you and over the long term it will grow into a significant amount. Woolworths contributes 8.23% each month (for TCOE members this is paid from your total salary). If you cash in your pension, in the future you will need to save more every month to make up for the savings you have lost. CONCLUSION: It is always better to preserve your retirement savings. Never cash in your retirement savings. July was Savings Month, and this is the ideal motivation to start saving. The decision to save and actually doing it are often very different. So just how do you go about saving? Basically it’s all about developing new financial habits, such as drawing up monthly budgets, putting money away and delaying gratification. Make a start when you begin your first job, even if it’s saving only R100 a month. Explore retirement annuities and pension funds and find the one that offers you the best returns. Remember, the younger you are when you start saving, the more you will have when you retire. Let compound interest work for you! 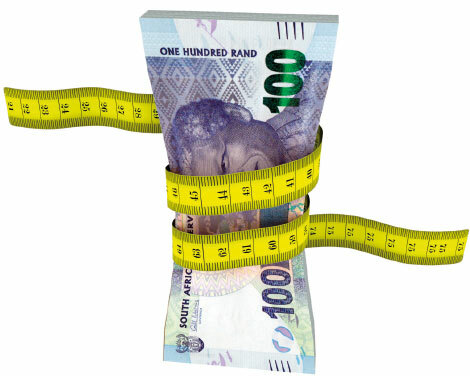 Go to the wgrf.co.za website and download the ‘Create a Monthly Budget’ brochure. A budget is the only effective way to take control of your money and your spending. 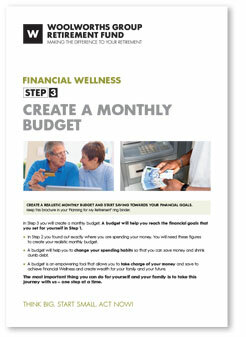 When done correctly, a budget is one of the most empowering tools to achieve financial health. This simple system helps you keep track of how much money you have for spending. Once you have paid all your bills, put aside separate amounts from your budget each payday. 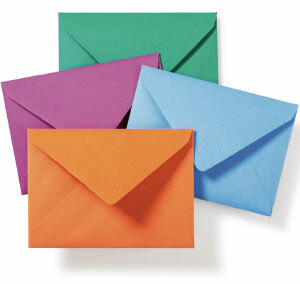 Put the money in different envelopes and use only those envelopes for those expenses. 1 The first advantage is that you won’t overspend. 2 The second advantage is that you will have to rework your budget if you regularly run out of money. The easiest way to do this is to set up debit orders. Most online banking sites also offer you the facility to arrange for regular payments to certain accounts, which makes paying your bills that much simpler. The “see it, want it, buy it” attitude could easily be the single biggest problem for most people. 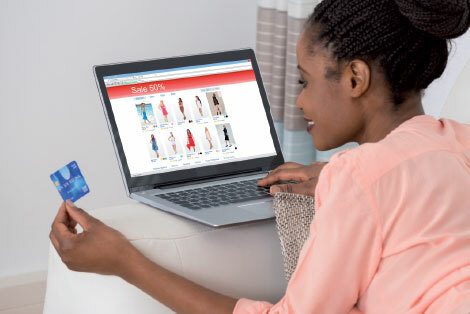 Impulse spending, such as spending on fast food because you don’t feel like cooking, online purchases you “just couldn’t resist” or “sale” items you probably won’t ever need, are sure-fire budget breakers. Rather set aside some money for impulse buying in your budget, use it thoughtfully and when it is finished, resist the urge to take money from somewhere else. If you can’t afford something this month, rather buy it when you can afford it – by which time you will probably find you don’t actually need it! the CPIX (Consumer Price Index). Keeping an eye on these can help to ease their effect on your wallet. For example, if you notice an increase in the price of oil, then petrol will be increasing and you can see where you can save to offset the extra cost. 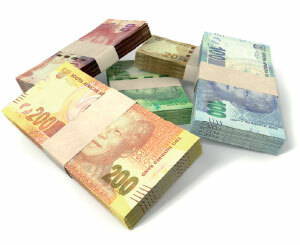 South Africa is in a recession – so it is important to be clever with your finances. Financially successful people know what they spend their money on, from the snack bought on the run to the brand new flat-screen TV. This knowledge helps them to live well within their means. To start living within your means, keep a diary of all your expenses, big and small. At the end of the month, mark all your expenses as either essential or non-essential, and then cut out the non-essential ones. Keep a similar diary the next month, and watch how your financial standing changes. 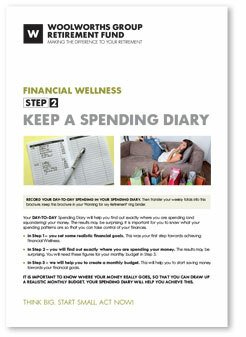 Go to the wgrf.co.za website and download the ‘Keep a Spending Diary’ brochure. 1 List your debts in order from smallest to largest. 2 Focus on the debt at the top first. 3 Pay off as much as you can towards it, even if it’s just R100 a month extra. 4 Once your first debt is paid off, take the total amount you were paying and add it to the payment of your next debt. This will help you decrease the interest on the debt and allow you to pay it off much quicker. Make sure you pay yourself every month. Make it the first payment that comes off your account by setting up a debit order facility. It is imperative that you also have an emergency fund that can deal with anything from admission to hospital to paying an excess on your insurance. Don’t even think about it; just make sure it happens, each and every payday. If you have a spouse or dependants, make sure that your life insurance will be sufficient to take care of their needs when you are no longer there. Draft a will and ask someone you trust to be the executor. Last but not least, take out car and home insurance that offers you the best value for money. Remember to compare premiums versus excess, and research the benefits. If you cannot meet all your financial obligations timeously, such as paying all your accounts and credit cards every month, then you need to put yourself on a consumption diet and get yourself back into financial health and wellness. The consumption diet plan is simple and is the only effective way to manage your financial wellness. Will I still need or want it in a month’s time? 10 years (and that is without even adding the interest). 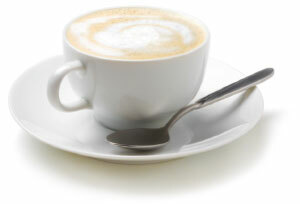 The extra R25 a day doesn’t seem so bad, but when you add it up, you realise that it is not money well spent. Rather make it a treat, not an everyday occurrence. At present less than 1% of the world’s population is financially independent. BECOME PART OF THE 1%. The majority of people don’t place a high value on wealth building. Instead, they place a high value on immediate gratification, which leads to buying items that depreciate in value. To most people it is important to be seen to be living the high life, even if it is all on credit. The National Credit Act was supposed to help you avoid getting over your head in debt. But it is all too easy to open an account and shop up a storm. Often you grow bored of the items long before you are rid of the debt! It takes a little effort to become part of the 1% who are financially independent – and this does not mean having vast wealth and being one of the super-rich. The 1% is largely made up of people like you who have control over their money. Unless there is a shift in your values, don’t expect to get ahead financially. Einstein said that doing the same thing over and over and expecting a different outcome is the definition of insanity! You have to be the one who takes responsibility for your money and your wealth status. According to the World Bank, South Africans are the world’s biggest borrowers, as 86% of South Africans are in debt. 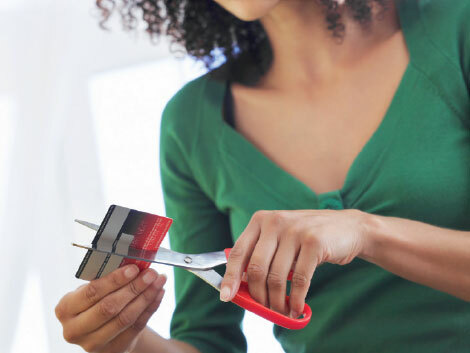 According to IMB Financial Services, South Africans are drowning in debt and it is only getting worse, with 120% growth in debt between 2013 and 2015. Before we can focus on savings, we first need to get out of debt. It isn’t as hard as it seems – it just takes one step at a time and determination to manage your money better. Millennials have fallen into the same trap as their parents – they spend without worrying about the consequences. Parents today indulge rather than educate their children about money! Getting into the early habit of good money management is key to later success. Pocket money should not just be for spending on socialising, it should also be used for buying personal items. It is a great starting point in terms of learning to manage money and to budget. reconcile at the end of the month. This is a great exercise that will help your child! But the best lesson is to encourage them to save a little of their money every month. 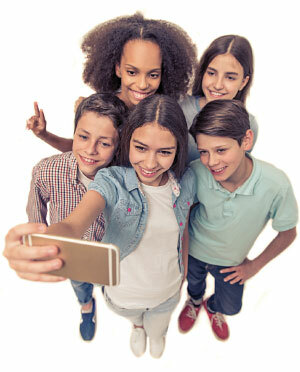 Peer pressure is huge and we all want to fit in, which means having what someone else has. But the lesson to be learnt is to wait and save for it. All too often when you can afford it, you no longer want it. Delayed gratification is a sign of emotional maturity! Encouraging the mindset of saving is important and the earlier you start, the better. Teaching children to save a portion of their pocket money (and later their salary) gives them more financial freedom. Millennials (born after 1980) prefer to earn their money to spend it now. Generation X (born 1965–1980) are conservative and prefer to save. Baby Boomers (born 1940–1964) prefer to buy on loan and spend their lives paying off debt.